For the Circle of Friends Craft Group on Little Bay Islands, the knitting, quilting and rug hooking projects are endless. 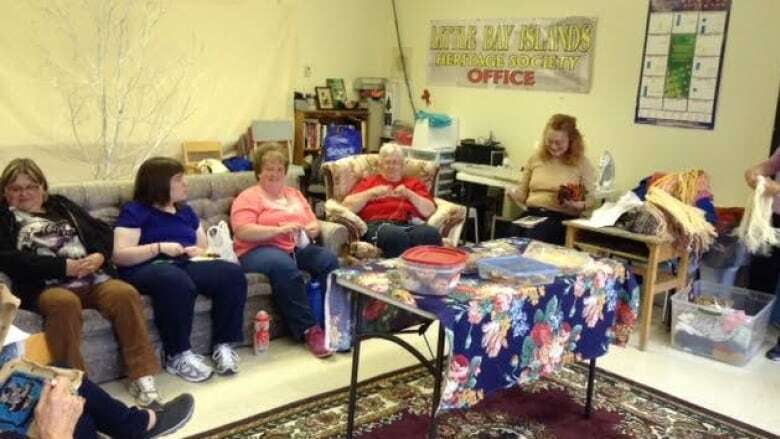 For the Circle of Friends Craft Group on Little Bay Islands, the projects are endless. 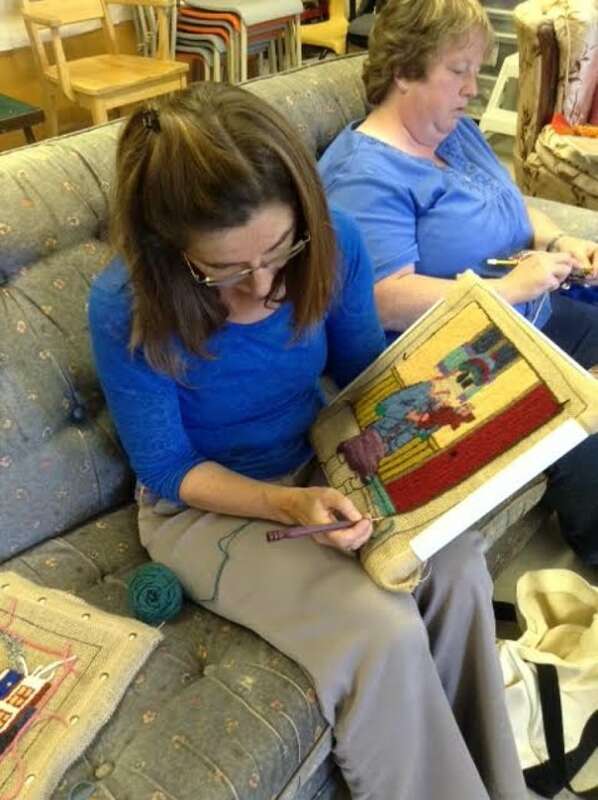 The group of women gather weekly at H.L.Strong Academy on Little Bay Islands for an afternoon of knitting, quilting, rug hooking and boisterous socialization. "We're a circle of friends and we're very happy," said Doris Tucker, one of the group's founders. "And we have afternoon tea, and egg sandwiches and muffins and pineapple squares." Between tea and chatting, the group also has a variety of textile projects on the go, from breaker panel quilt covers, to Newfoundland themed knitted slippers and some rug hooking based on traditional designs. Do you have an interesting weekend project or hobby? Tell us what YOU are at. Email wam@cbc.ca or tweet @CBCWam. You can hear What are you at? This is it Saturdays on Weekend AM from 6 a.m. to 9:30 a.m. (5:30 a.m. to 9 a.m. in Labrador) on CBC Radio One.